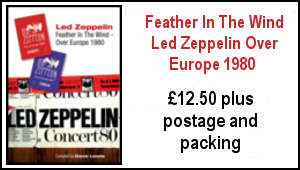 All this is fully chronicled in my book Feather In the Wind- Led Zeppelin Over Europe -the book is readily available. 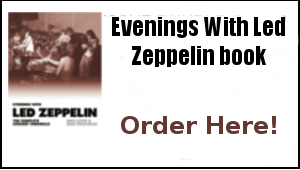 Here’s the link to invest in the definitive account of the tour at a bargain price – yet more Led Zep summer 2016 reading. 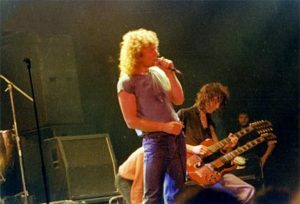 • The big news from last was that Led Zeppelin won the “Stairway To Heaven” trial in Los Angeles as a jury unanimously found them not guilty of infringing on the copyright of “Taurus” by Spirit. 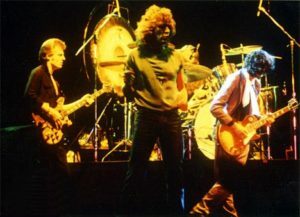 Led Zeppelin did have access to the song, the jury found, but the two songs weren’t similar enough to have broken the law. Led Zeppelin and Warner Music Group released a statement following their victory in court. 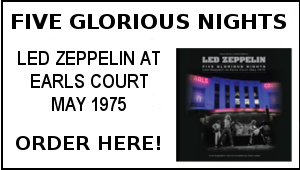 • Frances Malofiy, the lawyer who represented the plaintiff in the “Stairway To Heaven” lawsuit against Led Zeppelin, has been suspended from practicing law due to his behaviour in another court case. • Robert Plant has started his new tour. So far he has performed two shows: One in Belgium on July 2 and one in France on July 2. Check out the two setlists below. • Robert Plant has been announced as the headline act of David Lynch’s Festival of Disruption in Los Angeles in October. It will take place on October 8 and 9. The Album Countdown starts here. 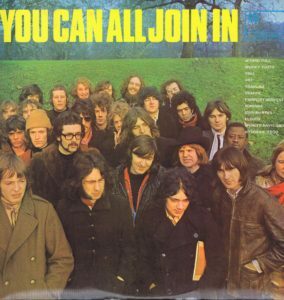 As with the singles selection, the criteria for selection is based on he inspiration these albums continue to provide and the memories the repeated paying of these albums always prompts. I am keeping it to one selection per act 9ish!). One of the first LPs I ever purchased. Free, Jethro, Fairport etc- that was hip stuff for this then 13 year old…. The Gigs…you will not be surprised that a lot of these will be Zep related ….not today though as at number 60 its. THE DAVE CLARK FIVE –GRANADA CINEMA BEDFORD APRIL 10 1964. Friday treats at the Vinyl Barn: Not been feeling great so vinyl inspiration was required last Friday – Jethro Tull Stand Up with pop up sleeve on the original Island label and a batch of David Bowie original RCA singles more than provided it. I was particularly pleased with the Jethro Tull Stand Up album as I can vividly recall looking at it in some wonder when it was featured in a window display in the long gone Carousel Record shop in Allhallows Bedford circa 1969/70. Thanks Darren. Yes..not been feeling 100% for a few days – went to the docs – my diabetes check is coming up soon (I’ve had diabetes type 2 for four years) and that might explain things a bit. Lot on here so getting on with things. 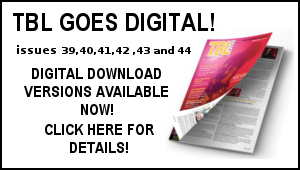 Should have the new TBL T. shirt ready to launch next week. There’s been a fair bit of scribing going here on what with the Classic Rock top ten lists and another feature I am working on. I am also gathering material for the next TBL mag and ahead there is more work on the Evenings With book project. In between all that, did catch some of the Wimbledon tennis on TV (come on Andy!) and the Euros – shame Wales could not sustain their incredible run against Portugal yesterday – but what an impression they have made. This morning I was at the main post office in Bedford very early – to ensure I got my hands on some very special stamps. 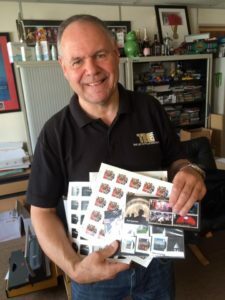 It was a joy to invest in the Royal Mail set of commemorative stamps featuring Pink Floyd album covers. These really are works of art – these little beauties will be brightening up the envelopes of future TBL distribution for sure! 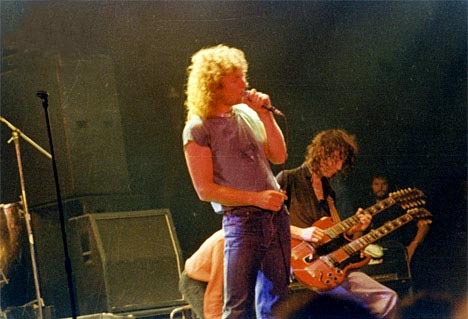 The YouTube clips of Robert Plant’ recent gigs sees him on great form vocally – and pleasing to see the Mighty ReArranger track Dancing In Heaven back in the set – always loved that one. 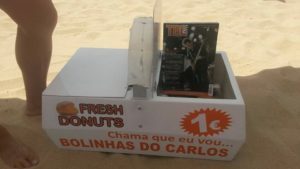 I had to laugh at this pic concocted by my good friends Phil and Tom who have been on holiday in Portugal. As can be seen they spotted a TBL sales opportunity – – a free TBL with every purchase…fresh donut from the beach anyone…! Dave Lewis/Gary Foy – July 7, 2016. Really enjoyed the interview with Warren Grant. Thought that it was fabulous that Warren was so positive about his Dad and the influence that Peter Grant had on the band. Enjoy the 60 day countdown and remember what everyone now says, that “60 is the new 40”. If I ever found the person who said this, I would hang him.